After former General Manager Tim Fredrickson submitted his resignation in December, the Board of Directors has spent the last few months searching for a replacement while interim GM Ed Frost has kept the agency’s daily operations running. After going through 84 applications, the board narrowed the choices down to a final 2 applicants. On Wednesday, 4/9/14, there will be two “Applicant Receptions,” one at Three Rivers Transit Center at 2:00PM and the other at the BFT Administration Building (MOA) at 7:30PM. Both will be held to give riders, bus operators and staff, and the general public a chance to meet the final choices for BFT’s new General Manager. Both applicants are coming from out of the area, one from Pennsylvania and the other from Texas. The City Council will be holding a public hearing on 4/22 at 7:00PM to take comments on proposed service reductions for this summer and the 2014-2015 WSU school year. 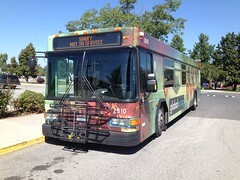 For summer service, Pullman Transit is proposing to cut the Summer Express 2 route, leaving just the Vacation “E” Route, Vacation “I” Route, and Vacation South Route. For the WSU school year, Pullman Transit is proposing to end the Midnight North and Midnight South routes that currently run on Friday and Saturday from 12:30AM-3:00AM, along with the 12:15AM trips on the PM North and PM South routes. If you can’t make the meeting, Pullman Transit can also take comments by calling their customer service line, (509) 332-6535. On March 19th, while riding the bus home from school, a minor was attacked by another passenger. Robert Kreykenbohm was later arrested by Walla Walla Police and charged with 4th degree assault. 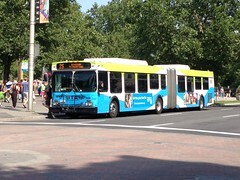 Video from the bus and additional coverage on this comes from KEPR. In a Facebook comment, a relative of the victim mentioned that they were trying to find out the identity of the woman who tried to get Kreykenbohm away from him. If you have any information regarding that, please contact KEPR. After holding a stakeholder meeting last month to determine the future of the YEC, Hopesource has announced that they are terminating their involvement with the service effective June 15th. Susan K. Grindle, Hopesource’s CEO, said in a press release that Yakima City Manager Kevin O’Rourke made it clear that the city intended to utilize a private contractor to preserve the service. (O’Rourke later stated that he mentioned that only as a possible option.) 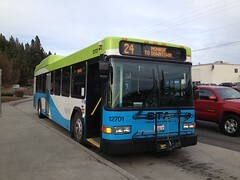 Currently, Hopesource is involved with the operation of the YEC due to a state law that prohibits Yakima Transit from directly operating the service as it is more than 15 miles outside of city limits. With this annoucement from Hopesource, it is unclear what will happen with the YEC. As previously covered here on Transit 509, the future of the route is still up in the air regardless, but Hopesource terminating their involvement after this summer will make things much more difficult now.